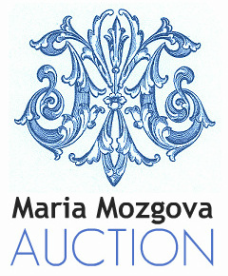 Maria Mozgova Auction is currently accepting consignments for future auctions. We are currently accepting consignments for future auctions. Please do not hesitate to contact us via telephone or email regarding items you may be interested in consigning. Please include, in the form below, all pertinent information regarding the object, including a basic description, dimensions, condition, provenance and attach digital images. We will respond in a timely and discreet manner. Again, thank you for your interest in Maria Mozgova Auction. We look forward to working with you!